At Premier Dental, we understand that dental work and proper care is extremely important to your health. 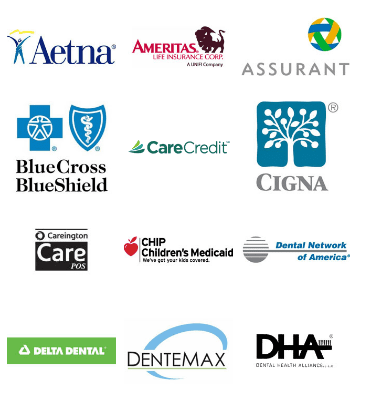 This is why we work very closely with countless insurance companies in order to provide our patients the best options possible for maximizing their dental coverage. If you don’t see your provider listed below or you have any questions on your coverage for treatment, give us a call today at 281-277-8787. 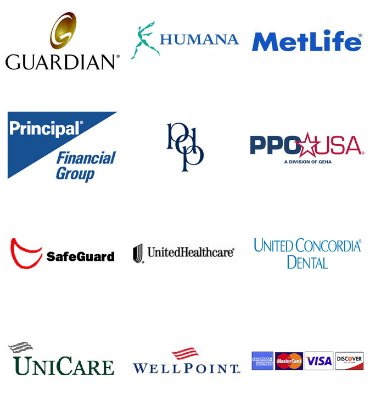 Premier Dental is in network with most major dental insurance companies. We will also be happy to help you submit your insurance claim. Please understand that insurance companies do not cover 100% of all treatments, therefore we have options for your convience. Premier Dental offers affordable financing for your dental and cosmetic treatments. We can help you arrange 6-18 months interest free finance plans, as well as extended finance plans with interest that offers a lower monthly fee. We also accept all major credit cards, checks and cash payments. We offer a 10% discount incentive for all cash payments paid in full before the treatment. All senior citizens will receive a 10% discount on all dental procedures. Premier Dental would be happy to discuss any financial concerns that you may have about your treatment options. If you have any questions about your coverage, do not hesitate to call. Our knowledgeable team would be happy to look into your coverage package to ensure that you receive the full reimbursement amounts.